Patrycja Siewert Towns believes all children should have an ability to attend summer camp. To learn to spread their wings by experiencing that little bit of independence that comes from being away from parents for just a little while. Summer camps allow children to strengthen their social skills, and learn about things like nutrition by growing then cooking their own food. Exposure to music and animals can ignite a love for nature. Kim Kreiss grew up in the Pacific Northwest where everyday felt like outdoor camp to her. With the wilderness in her backyard, winter skiing, horseback riding, summer swims and camping were easily accessible. Weekends were often spent on Lake Washington boating and swimming enjoying all the freedom that lifestyle had to offer. When she thinks back to her childhood it is always in shades of blue and green. Kim finds it rewarding to be able to give children the ability to enjoy a slice of heaven that experiencing the great outdoors can provide. Both Patrycja and Kim are like minded in their respect and love of the outdoors. Both women are committed to making it possible for children to have the chance to experience summer camp with its wide open green space and where a the possibility of a lifelong friendship with nature can be born. Project Green's mission is to develop and launch an annual "Back to Basics" Summer Camp program for underserved children and teenagers and kids in foster care by partnering with existing summer camps then sponsoring the kids to the camps. 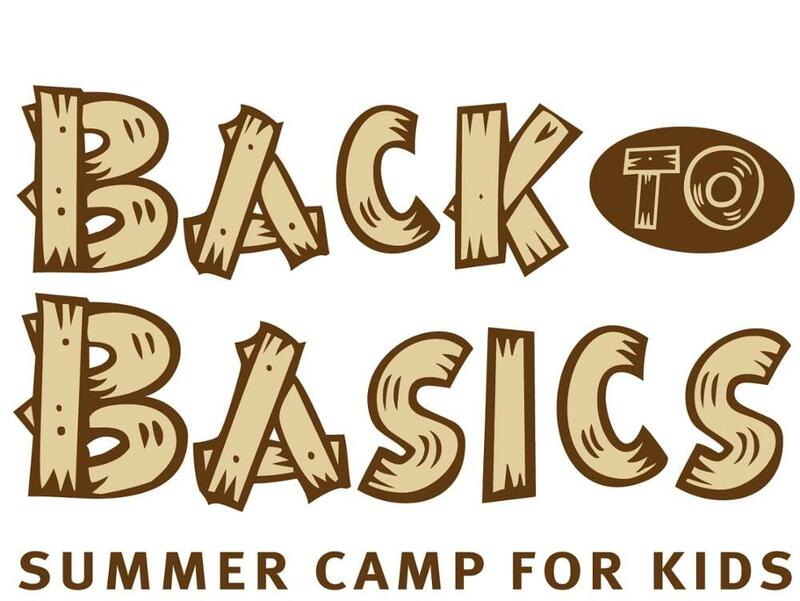 Back to Basics will teach kids and young people how to interact with one another focusing on building self-esteem and awareness of the environment by incorporating challenging and fun activities. Additionally, Project Green will invest in and "Green Space Initiative" by protecting green space, initially within the Southeastern United States with plans for expansion into other regions and will develop organic gardens, playgrounds and kid parks on these properties. 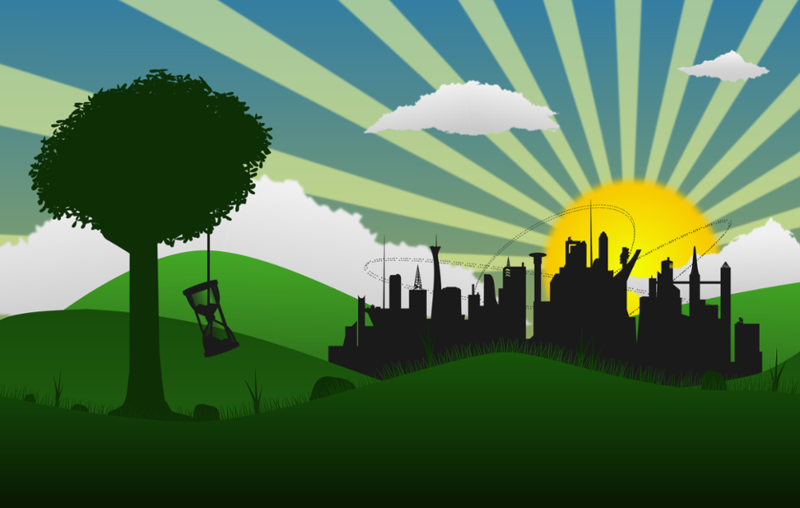 We at Project Green find it most desirable to be able to be financially independent. We are working hard to not be dependent on grants and other forms of funding that come with many strings attached. Our goal is to raise the initial funds necessary to launch the annual benefit music concerts to generate the needed funds to advance our mission and support our cause. This plan, however, comes with a fairly large upfront cost. Concerts require space, marketing, talent costs, insurances, and the all important security, just to name a few costs. For this reason, Project Green has started sponsoring kids to summer camps but we need more funds to further our mission. If you believe that kids deserve access to clean, green space and summer camp, it would be awesome if you could help us get on solid financial ground so we can spend less time worrying about money and more time focusing on a greener tomorrow. As cities expand and green space becomes parking lots, it is only a matter of time before those who do have access to green space find themselves trapped in the middle of the concrete jungle as well. Once Project Green raises sufficient funds and is continuously working with summer camps, the foundation will then move forward with its plans to purchase green spaces within cities in the U.S.. The "Green Space" land be protected from future development plus Project Green would turn this green space into a safe space for children to play, interact, and learn. 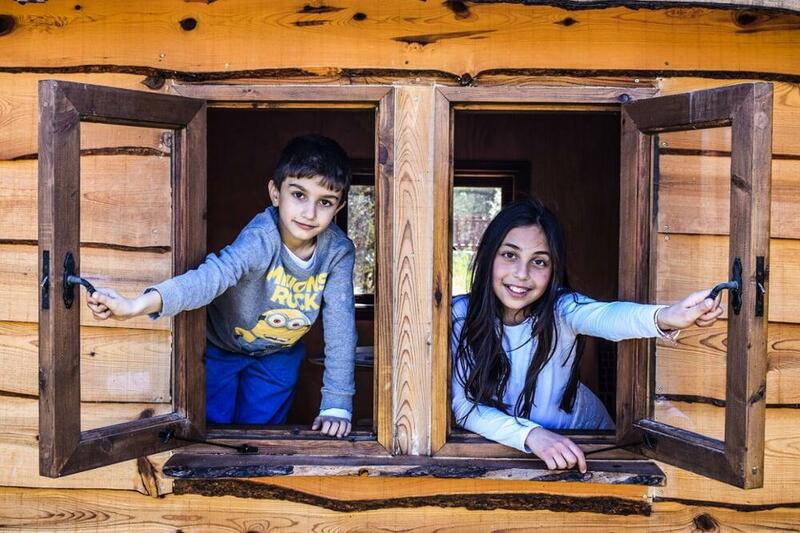 Children from all over will have access to outdoor space, within their city where they can learn how to grow an organic garden and where food comes from plus play, learn and expand their knowledge while having fun in a safe and green environment. While Project Green continues to fundraise and grow, we have already launched our Back to Basic Summer Camp program and have started sponsoring children on the East Coast. Below is just a glimpse into some of the amazing opportunities we have had, both to grow our community of supporters and to kids expand their horizons. 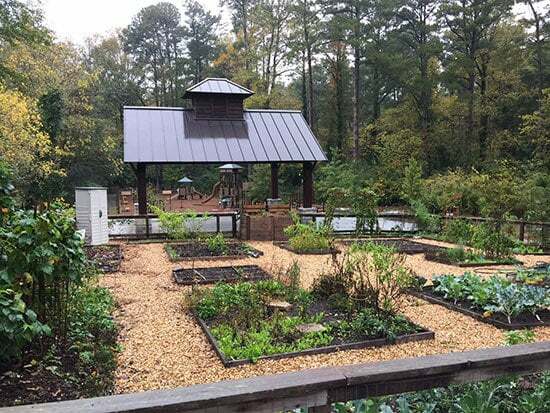 One of Project Green's first projects was supporting a local Little Nancy Creek Park in Atlanta, GA where kids attend annual summer camps as well as learn how to grow an Organic Garden and learn where our yummy food comes from. Project Green was a proud supporter in conjunction with the Big Bite Tour to the Irma Hurricane Relief in the Florida Keys in 2017. Project Green was able to donate a truck-load full of everyday essentials from water to food, snacks, diapers as well as food for our furry family members that were affected by hurricane Irma. Project Green is a proud sponsor of the CTREE summer camp program. We help to sponsor children that need therapeutic services but can not otherwise afford it. CTREE is a not-for-profit, 501c3 organization located on the east end of Long Island in New York. 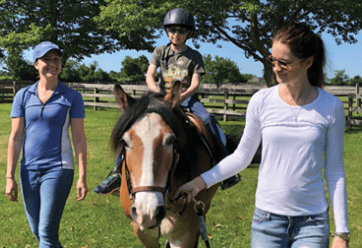 Their mission is to provide therapeutic riding lessons and equine assisted activities to children, young adults and veterans with cognitive, physical or emotional disabilities. 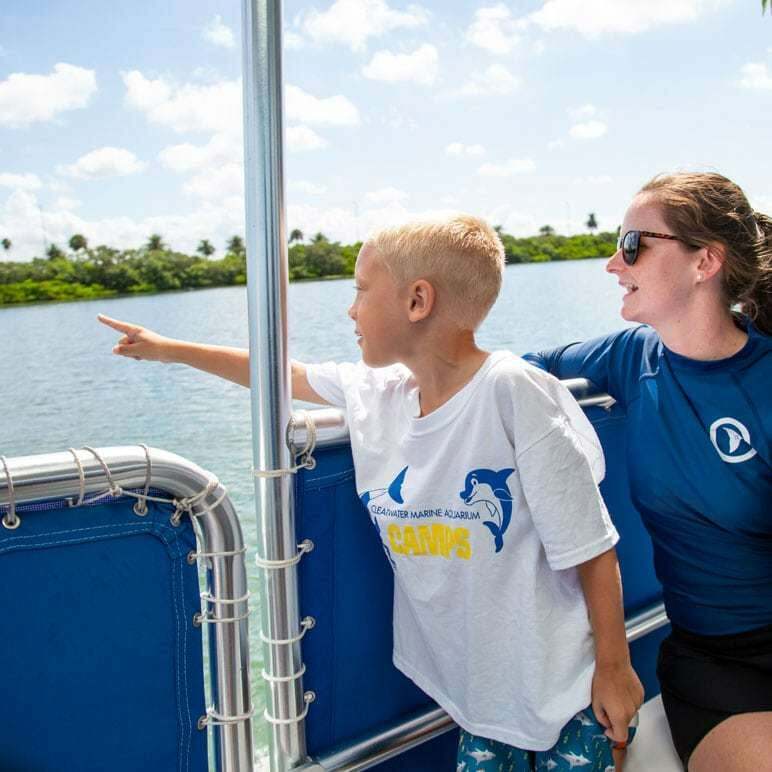 Project Green is a product sponsor of the Clearwater Marine Aquarium summer camp program, as well as their educational field trip programs. The Clearwater marine aquarium believes in preserving our environment while inspiring the human spirit through leadership in the rescue, rehabilitation, and release of marine life; environmental education; research; and conservation. Their summer camp and field trip program helps educate children about our precious marine life and live in harmony with it while protecting the environent. Alive Expo, a Green Living and Natural Products consumer event in Atlanta, Georgia is an annual supporter of Project Green. Project Green gets involved in the event to help raise awareness, promotions of the non-profit to the thousands of attendees, as well as fundraise and get local kids involved in Living Green! 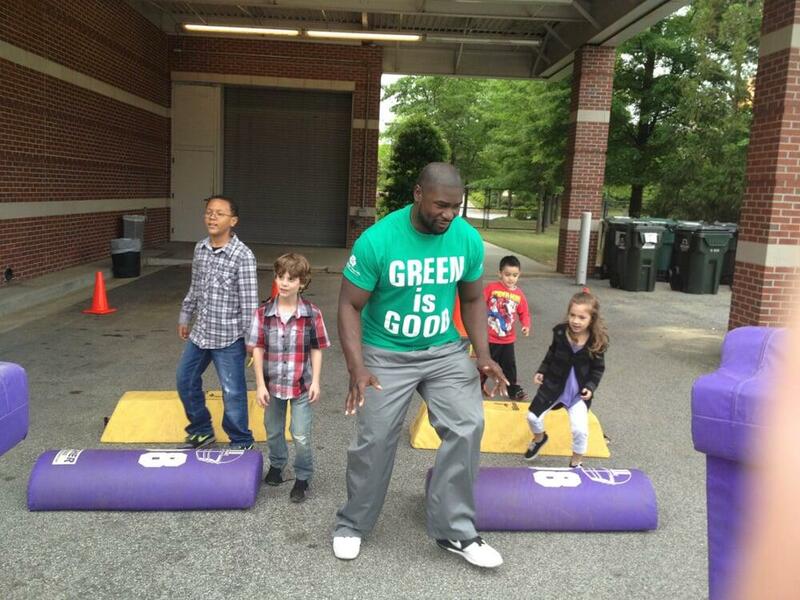 Former Atlanta Falcons fullback, Ovie Mughelli, helping kids get active at the Alive Expo. Project Green has an annual presence at the Sundance Film Festival, during Oscar and Prime Time Emmy events, as well as at the Palm Beach International Film Festival. We are continuously adding more and more events in partnership with our generous sponsor and supporter Alive! Expo Green Pavilion who helps us make these events possible with our acclaimed Project Green Music Lounge at the Alive! Expo Green Pavilion events. By participating, we not only grow awareness but also gain celebrity support in all that we do. We invite you to check out our YouTube channel to check out some of the celebrity interviews! Here are just a few celebrities that stopped by the Project Green event in LA to show support and autograph our adirondack chair for an upcoming fundraising auction to help raise funds for Project Green! Here are just a few attending celebrities to one of the Project Green events during Sundance Film Festival. More of our adoring fans. The board members at Project Green work tirelessly to help promote and grow our organization. We are committed to advancing the mission to one day be able to start and grow the Back to Basics camp and help ensure a greener tomorrow. Below you will find just a little bit more information about who we are and how we got here. 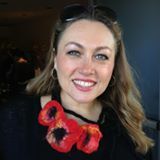 Patrycja Siewert Towns is the President and CEO of Alive! Expo, one of the nations’ largest Green Living, Natural Products Health & Wellness Consumer events in the country. She is also a partner and co-owner of Alive Expo Green Pavilion, an Eco Luxury Educational Lounge that takes place surrounding Hollywood’s most prestigious red-carpet award ceremonies and events including the Emmy week, Oscar week, at the annual Sundance Film Festival, Palm Beach International Film Festival and others. Additionally, Mrs. Siewert Towns is one of the founders of Project Green, a 501c3 non-profit in Atlanta, Georgia. With over 22 years of experience in the natural products, organic foods and green living industry working with companies ranging from large publishing companies to privately owned health food retailers and small to mid size manufacturers of natural and organic products, Patrycja’s experience includes fundraising and sponsorship opportunities for a plethora of companies across the industry. 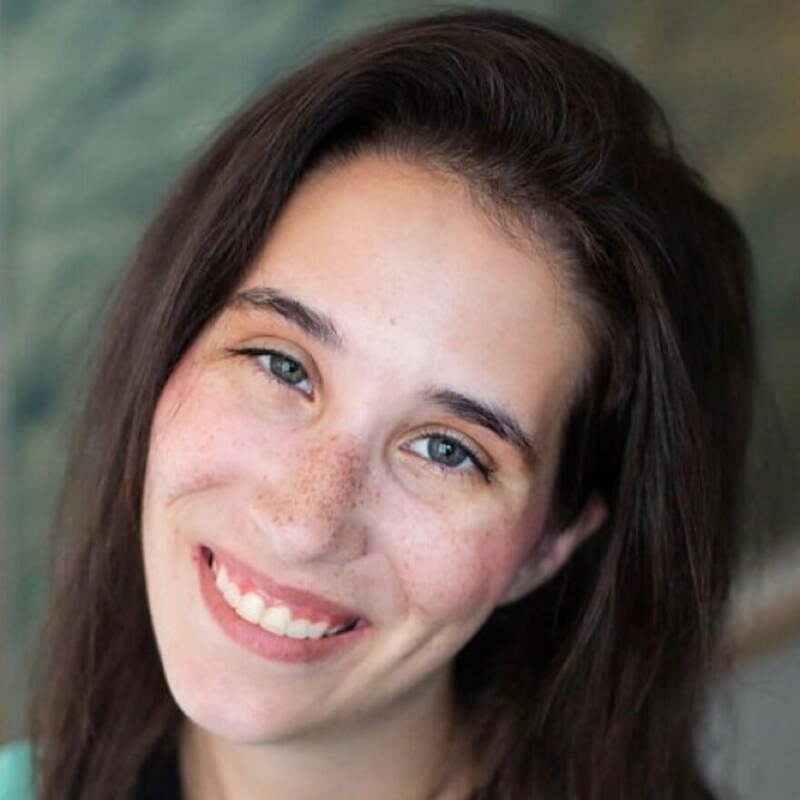 Mrs. Siewert Towns is a highly energetic professional with a solid background in marketing, advertising, e-commerce, sales, and event and trade show production. Mrs. Siewert-Towns immigrated to the U.S. from Poland in 1984 when she was just a teenager with no English language skills. She excelled in her studies through high school and graduated from the University of South Florida in 1993 with a Bachelor’s degree in International Relations and Translation. She is fluent in Polish with conversational skills in German. She lives with her husband and 3 children in the Tampa, FL area. Kim Kreiss creates fundraising, brand entertainment and sponsorship opportunities in television, film and talked-about events to establish celebrity association for their clients; helping originate positive celebrity product connections without the formality of a commercial endorsement. These connections generate both celebrity branding and strong brand recognition. 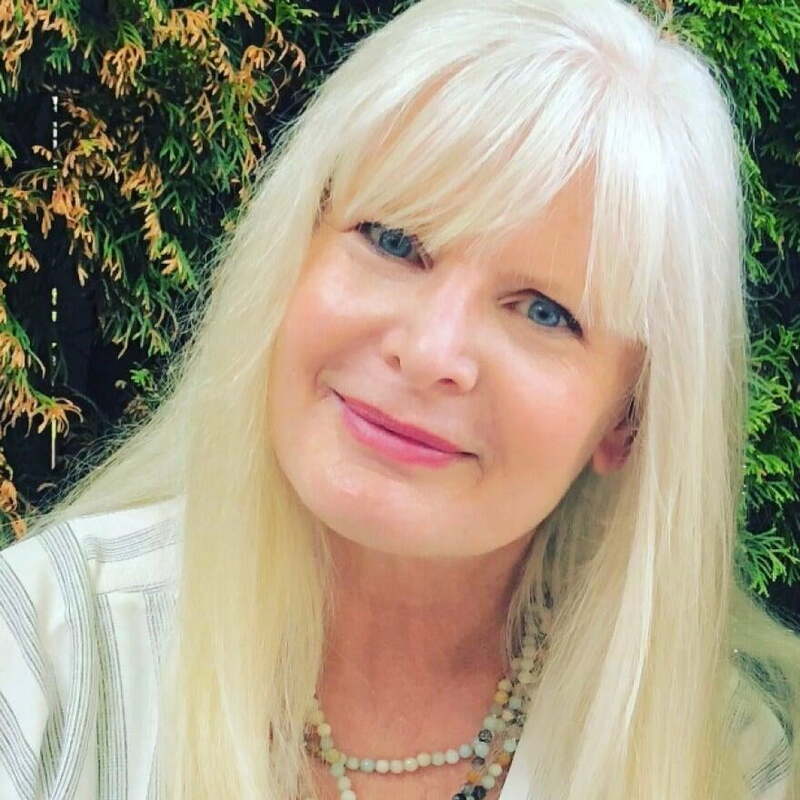 Kim Kreiss has most recently been creating and producing celebrity events surrounding Hollywood’s most prestigious red-carpet award ceremonies such as Sundance Film Festival, the Oscars, and the Emmy’s. During her 15 years in Los Angeles Kim, an entertainment executive, acquired an extensive background in the television, film and music industry. As the talent manager and owner of Artist Management, Kim represented award-winning actors. Kim has worked alongside music management companies and record labels. As a personal manager she helped musical talent cross over into film and television. Kim has produced and developed clients and projects with great diversity from traditional format independent films involving mainstream talent and network TV, to extreme athletes whose goals were to reach the X-games. Kim has been invited to the "Sundance Film Institute Producer Symposium". She is a member of the "National Academy of Television Arts and Sciences", "Screen Actors Guild" and "Women In Film". Ted is originally from Michigan. After college he traveled some for work and eventually settled in Tampa, Florida with his wife and three sons. He is a long time philanthropist and supporter of children’s charities. 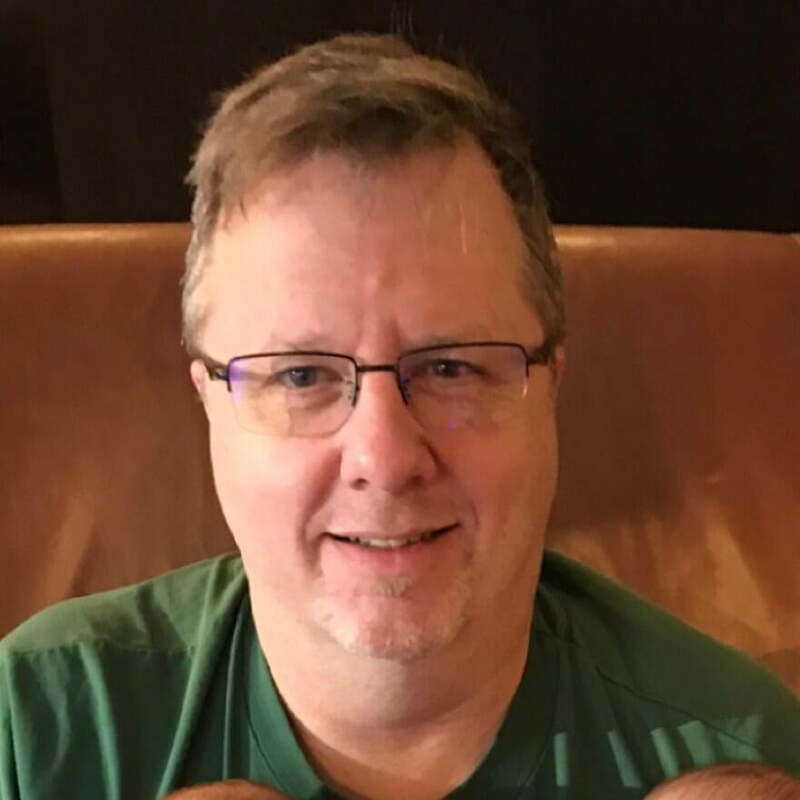 In addition to being a board member of Project Green, he volunteers his time as the charities visual designer, from creating the logo to all promotional and marketing pieces. Ted holds a degree in Fine Arts. Brittany was born in Atlanta, GA. After seeing ANNIE on Broadway at age 6, she decided she wanted to be an actress. She took singing, dancing and acting classes and made her acting debut in the Actor's Equity performance of JOSEPH AND THE AMAZING TECHNICOLOR DREAMCOAT at the Fox in Atlanta, GA. She is a graduate of Barnard College, New York, NY, Major: Film Studies She is a member of the Events Committee Columbia University Organization of Rising Entrepreneurs. Brittany and her family are involved in many charities and especially those that help children and concentrate on environment. If you are passionate about creating a greener tomorrow, have a voice, and want to make a difference in the lives of inner city and foster kids, we need to talk. You CAN make a difference and we can help you do it. At Project Green we are always looking for passionate people to volunteer and help us help the kids. Whether it be serving on the Board of Directors, helping us plan the next big thing in green spaces, or just telling your friends how awesome we are, we need your help today. Please send use your application to volunteer and we will get in touch with you to let you know exactly how your can help.